USGenWeb was established in 1996 by a group of genealogists who shared a desire to create online centers for genealogical research. USGenWeb is a free site ran by volunteers dedicated to providing genealogical resources. Lincoln County Oregon GenWeb is hosted by Jeanette Harper. The Society focuses on the same goals established early by its members: to preserve, publish, and educate. The Society maintains two historic structures, the Burrows House and the Pacific Maritime Heritage Center on Newport’s historic Bayfront, as well as the Log Cabin Research Library. The Society preserves the state’s largest collection of artifacts from Oregon’s central coast. The Benton County Genealogical Society was established in 1971 as the Mid-Valley Genealogical Society. The name was changed to the Benton County Genealogical Society in 1996. Purposes of the Society: To assist each other in genealogical research through association, inspiration, and mutual exchange and interaction. The Polk County Historical Society is headquartered at the Polk County Museum in Rickreal, OR. The historical society also maintains the historical Brunk House in Dallas, OR. Although Polk County Historical Society has a small library inside the museum and holds surnames files on early residents of Polk County. In addition to the museum, the Alsi Genealogical Society has amassed a multitude of resources for local genealogical research. Land records, school records, photographs, newspapers, records, books, articles, and maps are available. The North Lincoln County Historical Museum was founded in 1987 through the initiative and hard work of The North Lincoln County Pioneer and Historical Association. Beginning with one hundred and ten charter members in a small storefront, NLCHM now has a permanent home, a small staff, and a dedicated group of volunteers. “YPRHS is dedicated to educating the public on the historical and present impact of the economic development of the railroad, its people and its machinery in Lincoln County through preservation, interpretation, and restoration." "The museum is located 7 miles east of Newport in the town of Toledo, Oregon. The museum features local train history and artifacts, historical train cars, a wooden caboose and a steam locomotive. There is even a 1923 Southern Pacific Railroad Post Office (RPO) car that you can tour. The interior furnishings of the mail car were completely stripped out when the Historical Society acquired it. It has since been restored with original fixtures and mail bags." A museum annex was added in 1997 to house local historical artifacts along with local art and literature. Among the exhibits are the wedding dress of a local resident’s ancestor, military uniforms, shells and other interesting items. A listing, by author, of books on subjects relating to the Oregon Coast. Welcome to our Oregon State Facts section, part of an educational project designed to provide information about indigenous people in different U.S. states. Oregon historical maps with interactive overlays. A valuable resource for genealogist with Lincoln County ancestors, originally transcribed by Lincoln County Genealogical Society, now available on Family Search. 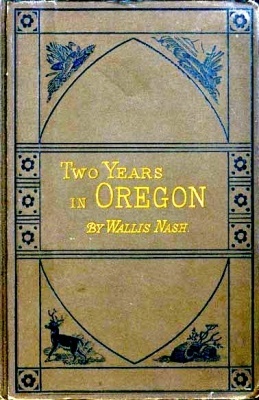 Two Years in Oregon by Wallis Nash gives descriptions of Oregon in 1881, including some local areas (e.g., Newport, Corvallis). It looks like if you have the right e-reader, you can download drawings also. Author: Wilkes, Lincoln Ellsworth, b. 1865; Thilenius, Carol A. Summary: Peyton Wilkes was born in Grayson County, Virginia in February 1791. It is thought that his parents came from Scotland or England. Peyton was orphaned or left motherless at an early age and was "bound out" to learn the trade of a tanner. He married Anna Dallas in Grayson County on March 18, 1815, her 18th birthday. They were married three days short of 73 years until her death on March 15, 1888. Children, Henry, William G., and Archibald were born in Virginia. The family moved to Kentucky where sons Marmaduke and Columbus, and daughter, Florentine were born. In Indiana, sons, Jabez and George were born. After living in Missouri, the family left to go to Oregon in the spring of 1845. They arrived in Oregon City on Christmas Day, 1845. Includes narratives of life in Oregon. Cemetery records, Benton County, Oregon, authored by Daughters of the American Revolution. Winema Chapter (Corvallis, Oregon). Also includes transcriptions of 1860 and 1870 Federal Census of Jackson County. "A piece of Oregon history sits atop a bluff at the mouth of the Yaquina River. It is the Yaquina Bay Lighthouse, built in 1871 and decommissioned in 1874. It was officially restored as a privately maintained aid to navigation on December 7, 1996. So where can they be found? Obviously the best resource is our own photo albums and those that our relatives possess. But what about other resources? How about online yearbooks, gravestone photos or Navy Cruise books? Many archives, historical societies, libraries and genealogical societies have collections of old photos. And in the past few years there has been a massive movement towards making these historical photo collections available online. Some have search capabilities where you can actually put in a surname or a location, name of a building or historical event and find what is available. The founder of this Archive, Joe Bott, is of German descent. His great-great-grandfather lived during the reign of Frederick III. 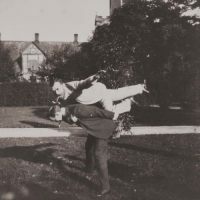 Trace your roots for FREE with this searchable database containing thousands of identified and mystery photos for genealogy enthusiasts looking for long-lost family. 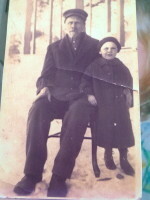 Anyone who finds a photo of a direct ancestor that is owned by the archive will receive the photo for free. Don't toss out those old photos! If you have pre-1960 photos of people or places of Lincoln or nearby counties, we would love to take them off your hands! Or, if you have some that you would just like to digitally share, please contact us. A few of these FB sites have closed memberships, you will be prompted to request to join. 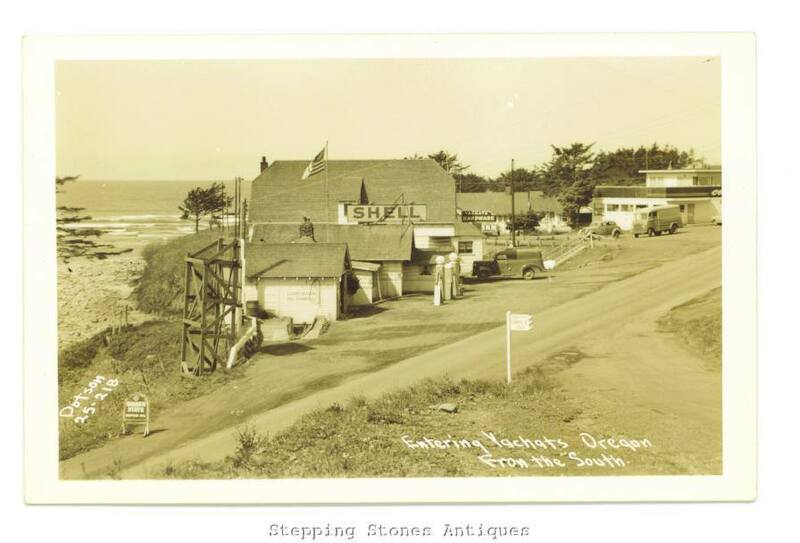 This video was created by Mr. and Mrs Leigh Green as a historical perspective of Yachats, Oregon.